Industry standards expect models changing backstage at a fashion show to just to take off their clothes, in front of complete strangers, and get out on the runway as quickly as possible. But as the fashion industry begins to look at its accepted practices with a more critical eye in light of #MeToo, the CFDA and the Model Alliance have worked together to create private changing areas for models backstage this New York Fashion Week. The Model Alliance, an advocacy group for fashion models, has teamed up with the CFDA (the Council of Fashion Designers of America) to arrange for the private changing spaces. 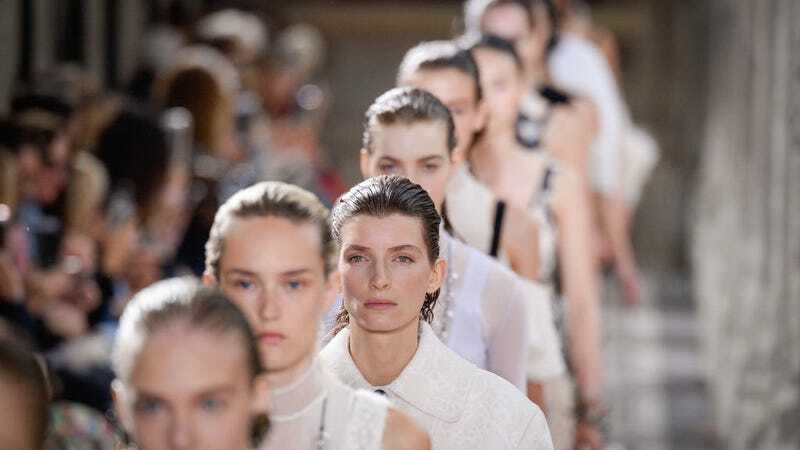 “Given that models have raised concerns about invasive photography and lack of privacy while changing clothes backstage, we decided to take additional steps this season to create areas where models can change in privacy,” reads a statement from Model Alliance. The two groups are also working with IMG Fashion and Pier 59 Studios, where several shows take place. In the past few months models have shared stories of abuse in the industry, photographers like Bruce Weber have been accused of sexual misconduct and Terry Richardson is being investigated by the NYPD, and Condé Nast International introduced a new code of conduct. Models Kristina Romanova and Antoniette Costa also launched the Humans of Fashion Foundation on Tuesday, a website that can connect those experiencing abuse in the fashion industry with pro bono and subsidized lawyers, mental health counsellors, and support networks.